India's Tier-2 and Tier-3 cities were the most-travelled destinations in 2018, according to a trends report based on bookings done through Paytm Travel. The report said that the Tier-2 and Tier-3 cities accounted for about 60 per cent of growth in domestic travel last year. 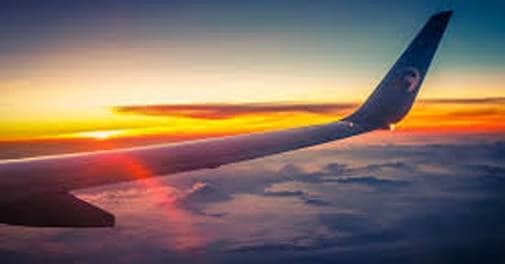 The report further stated that when it came to air travel, the fastest growing destinations in 2018 were- Hubli (Karnataka), Tiruchirappalli (Tamil Nadu), Cuddapah (Andhra Prades), Rajahmundry (Andhra Pradesh), Vijayawada (Andhra Pradesh), Gorakhpur (Uttar Pradesh), Tirupati (Andhra Pradesh), Ranchi (Jharkhand), Surat (Gujarat) and Bhubaneshwar (Odisha). Hanumangarh (Rajasthan), Nandyal (Andhra Pradesh), Bokaro (Jharkhand), Tiruchirappalli (Tamil Nadu), Rayachoti (Andhra Pradesh), Kota (Rajasthan), Vizianagaram (Andhra Pradesh), Sri Ganganagar (Rajasthan) , Chhindwara (Madhya Pradesh), and Morbi (Gujarat) were the fastest growing destinations when it came to travelling by bus. In 2018, out of 55.3 million passengers, who traveled last year, 33.2 million were from tier-II and tier-III cities, said the company. Additionally, Dubai, Bangkok and Singapore were the most-searched destinations, and across Europe, London was the most preferential destination last year, mentioned Paytm Travel. The travel business of Paytm has witnessed a four times rise in its customer base this year. Last year, the online payment firm had a customer base of 9 million which has now increased to 13 million. These 13 million Paytm Travel users are part of over 300 million registered users that the e-commerce payment company has currently. Paytm Travel is vying with other India's online travel booking firms like MakeMyTrip, Yatra, Cleartrip, GoIbibo, and EaseMyTrip. Currently, India's online travel booking market is worth $8 billion. It is expected to grow to $13.6 billion by 2021, as per consulting firm Praxis Global.